ACTIVETRAVEL ASIA (ATA) have hosted a group of Australian Motorcyclists to take the motorcycle trip in Ho Chi Minh Trail, Vietnam. 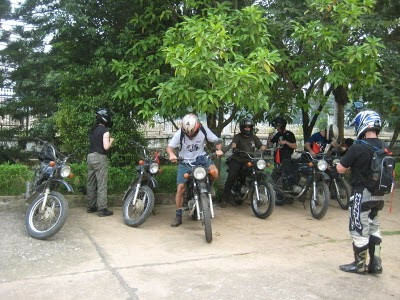 This trip started from Hanoi and finish in Hoi An, Quang Nam province in Oct 20, 2010. With 7-day motorcycling tour in Ho Chi Minh trail in total 11 day trip from Hanoi to Hoi An, Quang Nam province, this motorcycling grading of tour is considered as Moderate to challenging by ATA. The legendary Ho Chi Minh Trail was the supply line used by North Vietnam to link North and South Vietnam during the American War. Soldiers, ammunition, weapons and supplies were carried by hand, bicycle and truck for hundreds of kilometers through the otherwise impenetrable jungle that covered Vietnam’s mountainous border with Laos. A testimony to the ingenuity, fortitude and commitment of the northern Vietnamese, the trail slipped from use at the end of the war and was taken back by the jungle. Recent road work that follows original sections of the trail has changed this. Besides incredible driving, deep in the Vietnamese countryside; this ride takes in the charming ancient trading town of Hoi An, Khe Sanh battle site and DMZ. Travelers also take time to stay overnight in a traditional Thai hill tribe and visit to some tribal villages on the way. 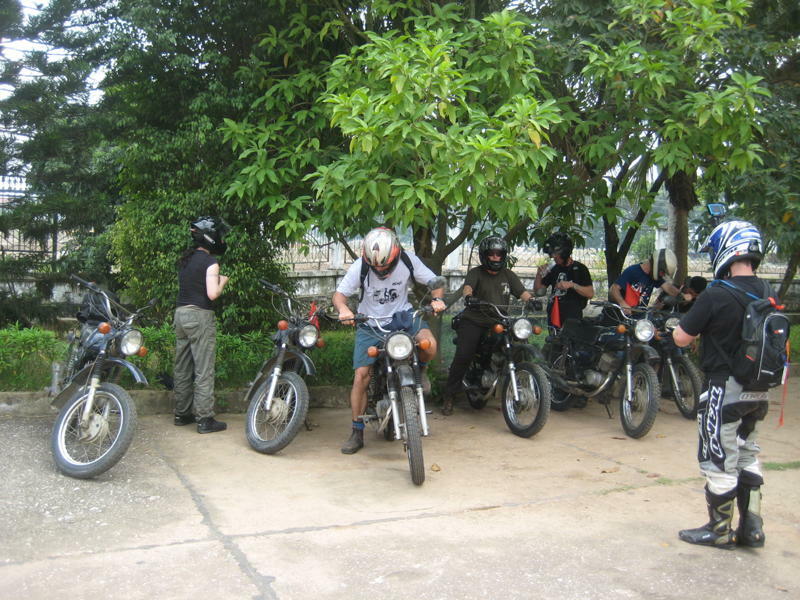 Australian motorcyclists is group of the 8 motorcyclists and love motorcycling trail especially on the historical trail during Vietnam War in the past by motorcycling.